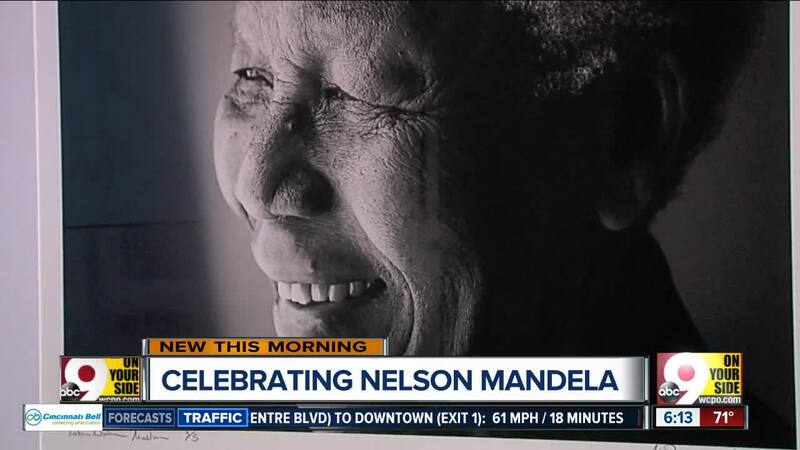 CINCINNATI -- To celebrate Nelson Mandela’s 100th birthday, The National Underground Railroad Freedom Center has a brand new exhibit dedicated to his life, and it’s more than just pictures. “What we are providing here is a fully interactive experience of where we want the audience to be provoked,” Documentary Photographer Matthew Willman said. Willman took many of the photos in the exhibit over the ten years he worked with Nelson Mandela. The exhibit covers Mandela’s birth, to his time spent in prison, to his rise to the presidency. It shows what South Africa was like during Apartheid. One of the most striking parts of the exhibit is a replica of Nelson Mandela’s prison cell, where he spent 27 years, on Robben Island. The exhibit runs through January 1.